The slate-flagged floors of the entrance hall and dining room are complimented by Lake District prints, heavy oak antique furniture, and the evocative aroma of wood polish. Further inside The Waterwheel is a unique curved set of stairs, several hundred years old. Head up the winding stairs to the bedrooms for a perfect cosy romantic retreat or to freshen up after a day on the fells. For those who warm to the idea of their bedroom having a name, not a number, our delightful en suite bedrooms will enchant all those staying in this luxury Ambleside accommodation. 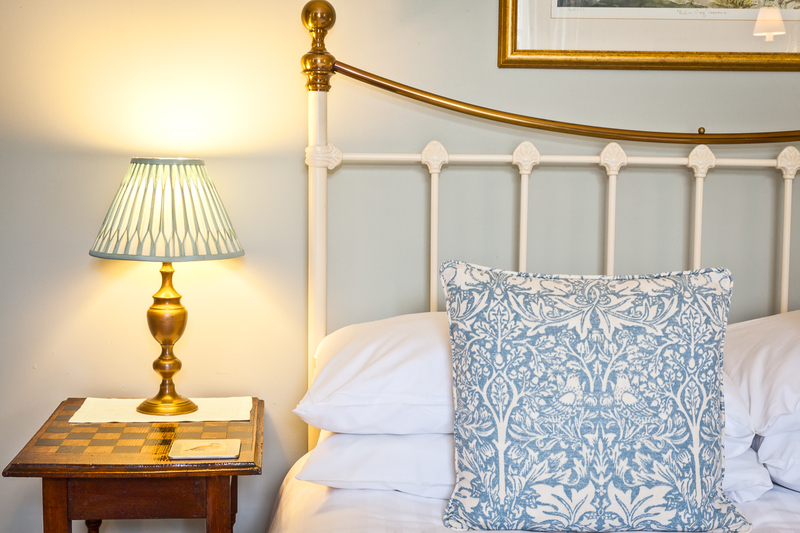 Just three guest bedrooms ensure a welcoming and refined atmosphere, and we trust that the period furnishings, Victorian framed prints and simple charm of the cottage will captivate. We think a quality bed is of the utmost importance… so in all our rooms there is a good Victorian-style iron bed with a firm mattress and warm duvet. At our luxury accommodation in Ambleside, you will also find a flat screen television with movie and entertainment channels, super fast wifi, welcome tray with a selection of fine teas and coffees, hairdryer and alarm clock, as well as information on local walks, restaurants, country pubs and things to do. The Victorians knew a thing or two about the pleasures of bathing, and to relax in a steaming hot clawfoot bath, oblivious to the outside world, is surely one of life’s great pleasures. What could be better after a good day on the hills upon return to this luxury Ambleside accommodation? 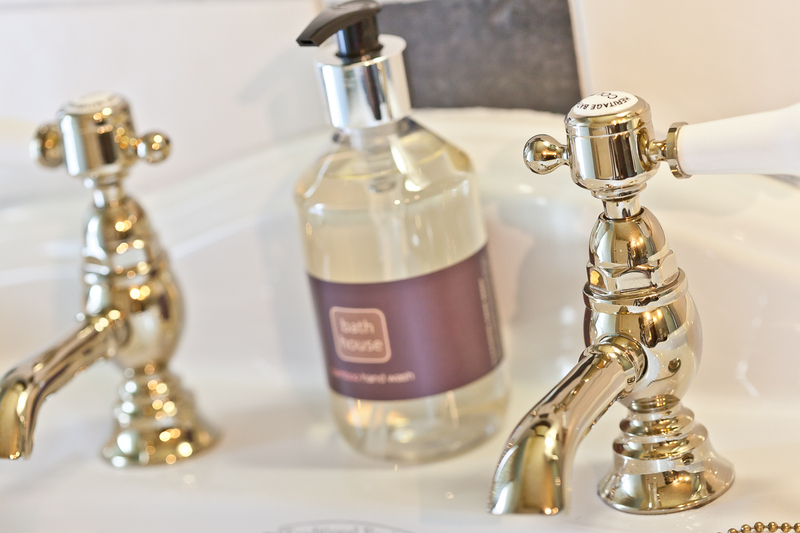 Our bathrooms are all generously proportioned with full-sized baths, luxury Bath House natural toiletries, heated towel rails, fluffy towels and face cloths. Luxury bath robes are provided in our Stockghyll and Rattleghyll rooms. Absolutely lovely. Thank you for the wonderful stay – we’re moving in! All the best for the future – you are absolute naturals! It felt like staying with friends in their very lovely house! Thank you so much. Best B&B we’ve ever stayed in. Very comfortable accommodation & spotlessly clean. Great location, excellent breakfasts and lovely friendly hosts. Had a fabulous time, room was great, really lovely to meet you both. Thanks so much! We had a lovely stay at your place. Hope we will come back soon. Amazing BnB here. Thank you so much! Thank you for making the start of our honeymoon so special. Wonderful welcome, accommodation and food. Beautiful room! We have had a wonderful stay! Congratulations on your new venture – it has been an honour to be some of your first guests. Best B&B we’ve stayed at! What else can we say! Absolutely gorgeous rooms & even better breakfasts. Thank you for a fantastic relaxing break. Like staying with good friends for a few days! We felt very looked after. A wonderful time with wonderful hosts. See you again soon.